The use of biomarkers for prostate cancer screening, diagnosis and prognosis has the potential to improve the clinical management of the patients. Owing to inherent limitations of the biomarker prostate-specific antigen (PSA), intensive efforts are currently directed towards a search for alternative prostate cancer biomarkers, particularly those that can predict disease aggressiveness and drive better treatment decisions. 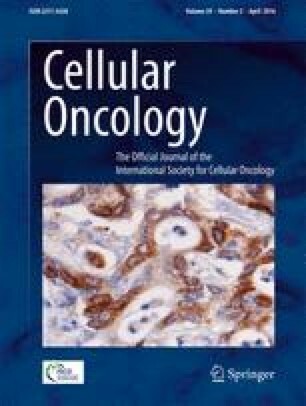 A literature search of Medline articles focused on recent and emerging advances in prostate cancer biomarkers was performed. The most promising biomarkers that have the potential to meet the unmet clinical needs in prostate cancer patient management and/or that are clinically implemented were selected. With the advent of advanced genomic and proteomic technologies, we have in recent years seen an enormous spurt in prostate cancer biomarker research with several promising alternative biomarkers being discovered that show an improved sensitivity and specificity over PSA. The new generation of biomarkers can be tested via serum, urine, or tissue-based assays that have either received regulatory approval by the US Food and Drug Administration or are available as Clinical Laboratory Improvement Amendments-based laboratory developed tests. Additional emerging novel biomarkers for prostate cancer, including circulating tumor cells, microRNAs and exosomes, are still in their infancy. Together, these biomarkers provide actionable guidance for prostate cancer risk assessment, and are expected to lead to an era of personalized medicine. The manuscript complies with ethical standards. The author is supported by the National Cancer Institute at the National Institutes of Health (Grant Number RO1CA177984).